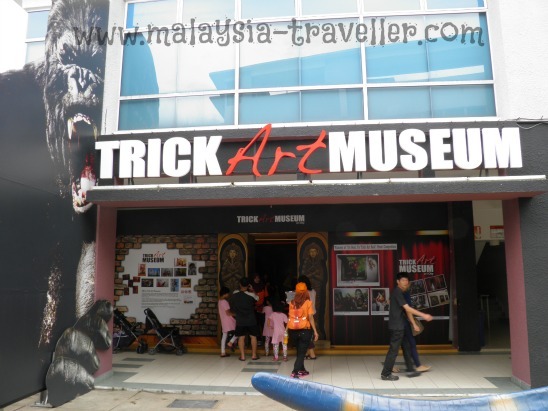 Trick Art Museum brings the ancient art of trompe l'oeil to Malaysia.This attraction is an enjoyable addition to i-City's range of family entertainment activities in Shah Alam. Here your eyes play tricks on your mind as two dimensional paintings have been skilfully rendered by artists to make them appear as three dimensional. The optical illusions are created by the clever painting of shadows and action outside the perimeter of the picture frames. So for example in the painting at the bottom of this page, a tea-cup is painted on the wall outside the frame which gives the perception of reality to the scene. Well placed lighting enhances the 3D effect. Photography is not only permitted, it is encouraged! 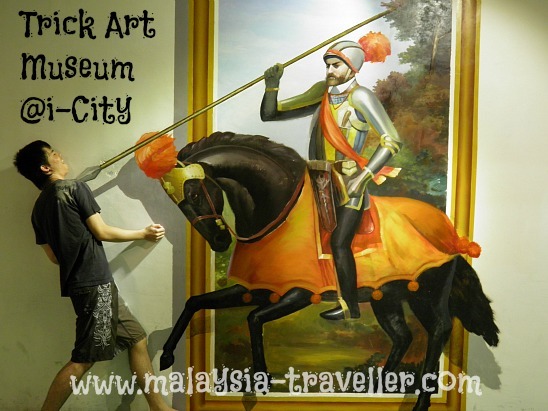 There are similar museums in Japan, Korea and Philippines among other countries but this is the first in Malaysia. It is a great place to bring the children to spark their creativity and imagination and perhaps trigger an appreciation of art. 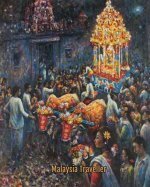 Entry to Trick Art costs 15 points for MyKad holders and 20 points for everbody else. The next door building is the Red Carpet Wax Museum. Read details here. 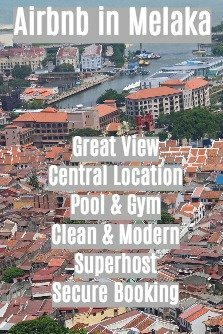 See my main i-City page for a map. The Museum is located next to the 5D cinema on the same level as Old Town White Coffee.